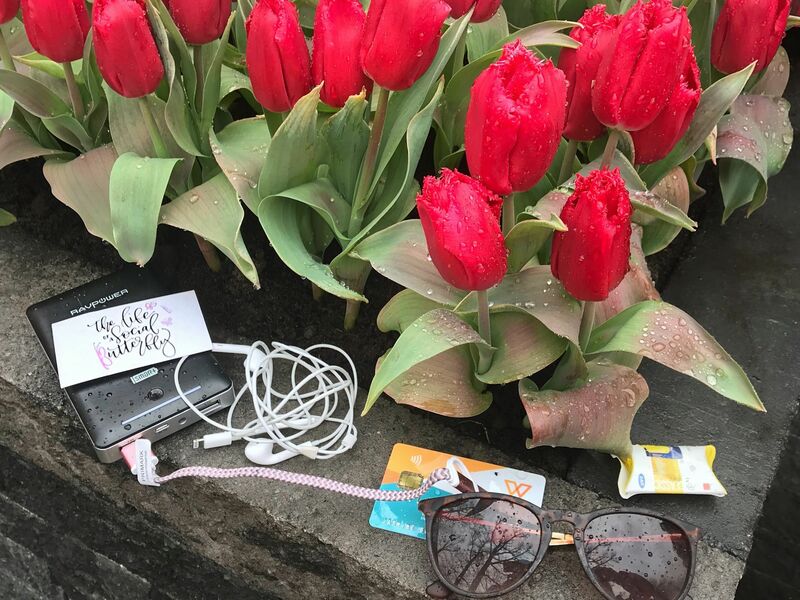 There are certain travel essentials we all can’t live without, whether it’s headphones or a book. 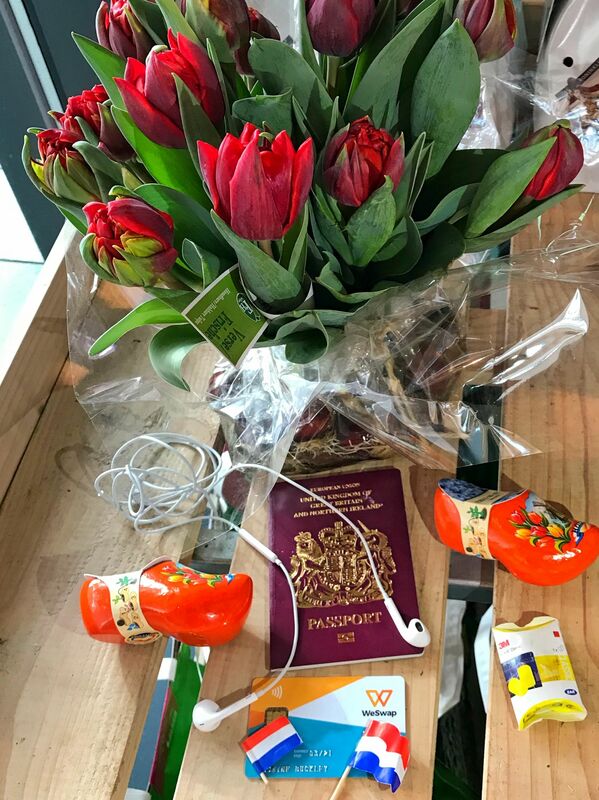 Travel currency provider, WeSwap, challenged me to “unpack my bag” to share my travel essentials on my recent trip to the Keukenhof Tulip Gardens. 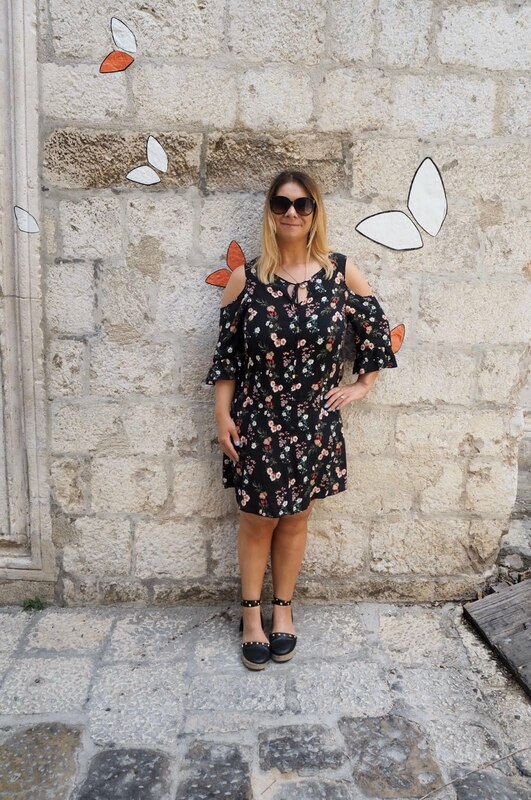 Find out about those little things I can’t live without when I’m travelling in this post! Number one on my travel essentials list (other than my passport, currency and boarding passes of course) are my ear defenders! I totally get that this must be a random item to many of you reading this post but the unnecessary noise really annoys me! I’m an introvert at heart and, the majority of the time I live for my quiet home comforts. So much so, ear defenders are my holiday essentials staple. I don’t want to hear that baby crying for hours on end during my flight, I want to be deep in my own thoughts as I embark on my next adventure! It should be noted that since travelling solo for press trips, I’ve started using my headphones (even if I’m not listening to music) instead of my ear defenders so I don’t look like quite the weirdo with ear defenders in! But, those travel essential ear defenders are back out the bag for bedtime as I’m not prepared to be disturbed when I’m sleeping either! 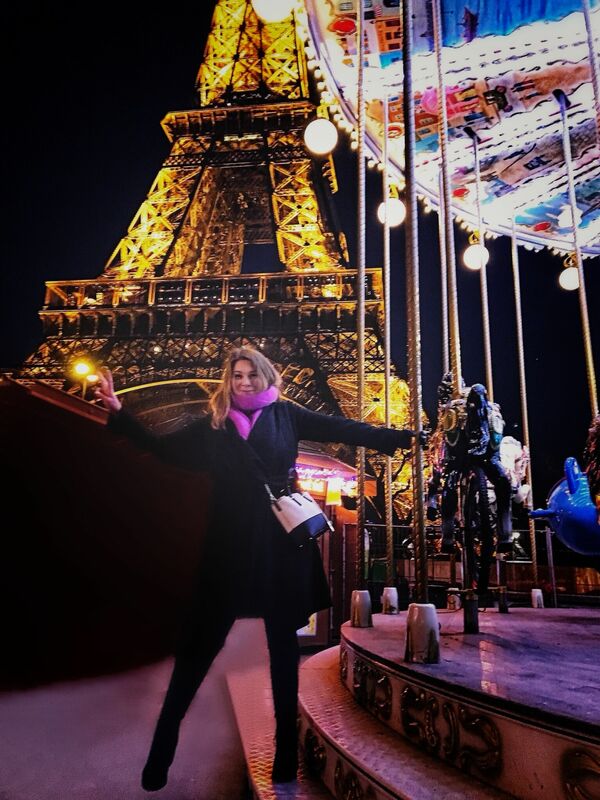 As you can tell from my previous posts and, if you know me personally, I take a ton of pictures on every trip! 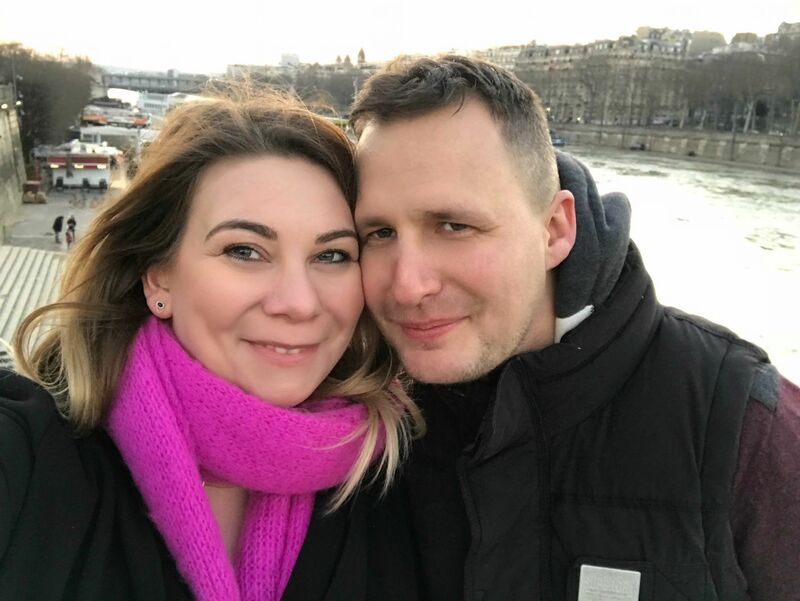 I’ve always had a love for photos as no matter how bad my memory gets (it does seem to be getting worse as I get older), I always have photos to remind of the good times I’ve had or to help me reminisce over places I’ve visited. It goes without saying, my camera is coming with me! 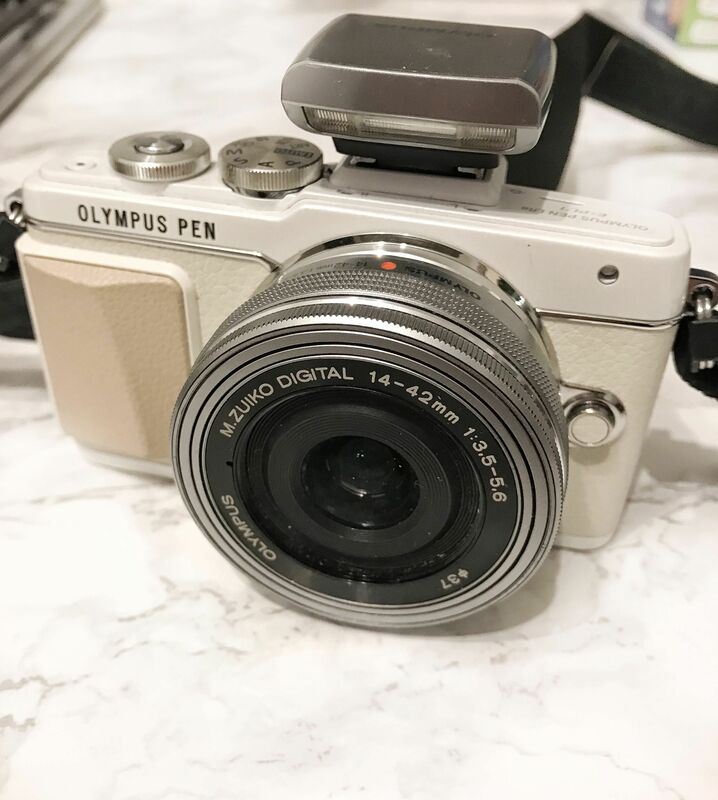 The camera I use is the Olympus Pen E-PL7, a firm favourite among bloggers. Not only does it have a selfie screen for those candid travel shots on the go, I love the fact that it’s a compact camera with DSLR features and still fits in the majority of my handbags. 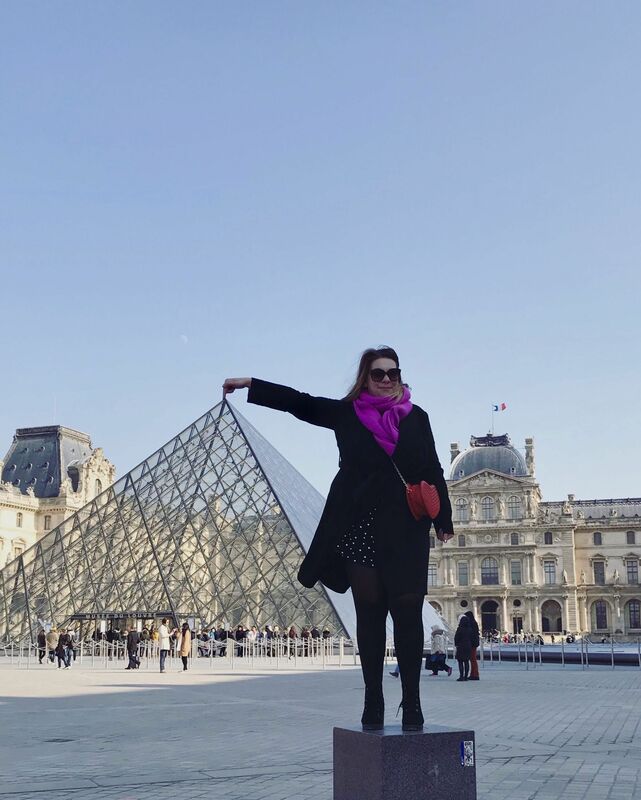 It fits nicely into my trusty Kate Spade bag, a bag that’s just the right size for my travel essentials and a bag I almost had stolen during a recent trip to Paris! The need for a phone charger cannot be underestimated in my opinion. It really is a travel essential for me, even more so when I’m blogging. 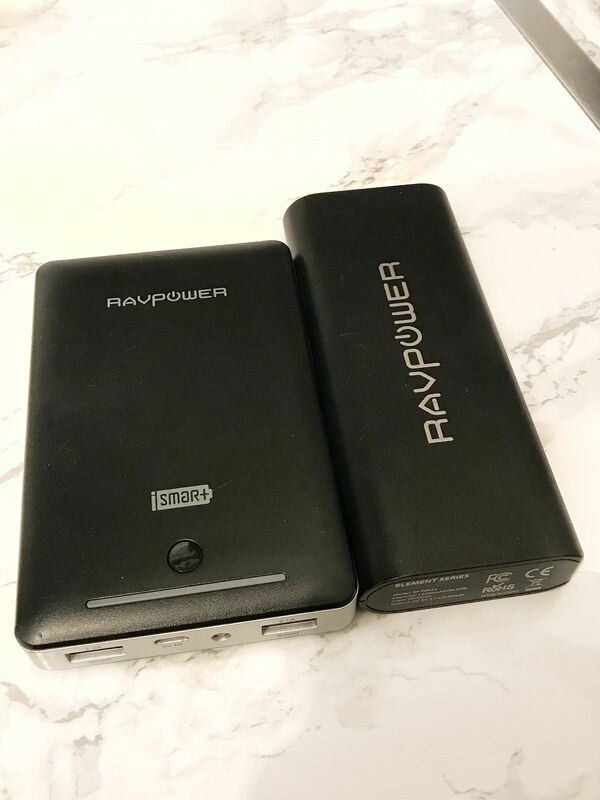 I have numerous phone chargers, but the main ones I use are these two Ravpower chargers from Amazon. They can both charge my phone up to five times each when I’m on the go and were a godsend on my trips to the Lake District, Lisbon, Croatia & San Francisco. My favourite is the slimline one as it fits nicely into my Kate Spade bag. I don’t care what the weatherman says, if the weatherman says it’s raining my sunglasses are still coming with me regardless! As a Brit, I’m used to my fair share of rain, but I’m always hopeful that there will sun on the horizon. That’s why you will always find me with sunglasses! 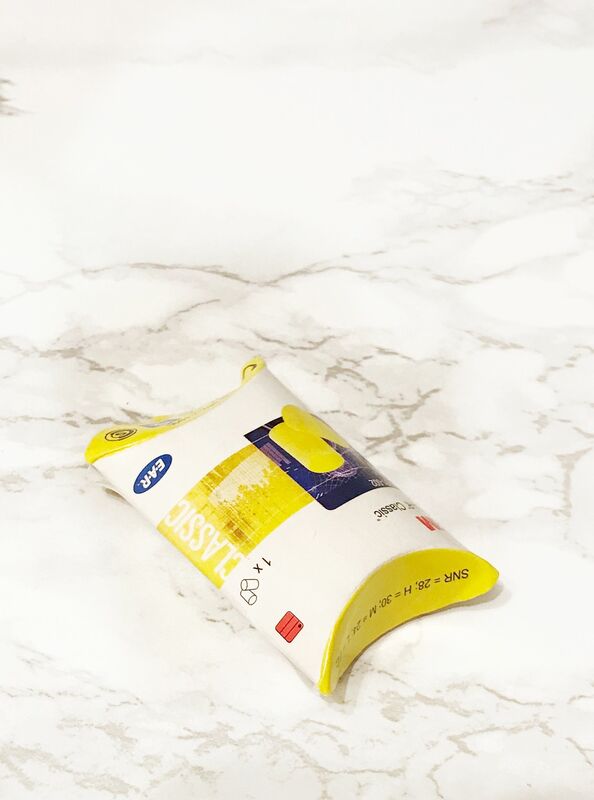 My newest travel essential is my WeSwap currency card. Currency provider WeSwap are making it easier and cheaper than ever before to exchange your currency; the prepaid card recently voted ‘Best Travel Money Provider 2018’ is now accepted worldwide. All I need to do now is find another trip! Check out their award-winning currency rates & get your free card by clicking here. 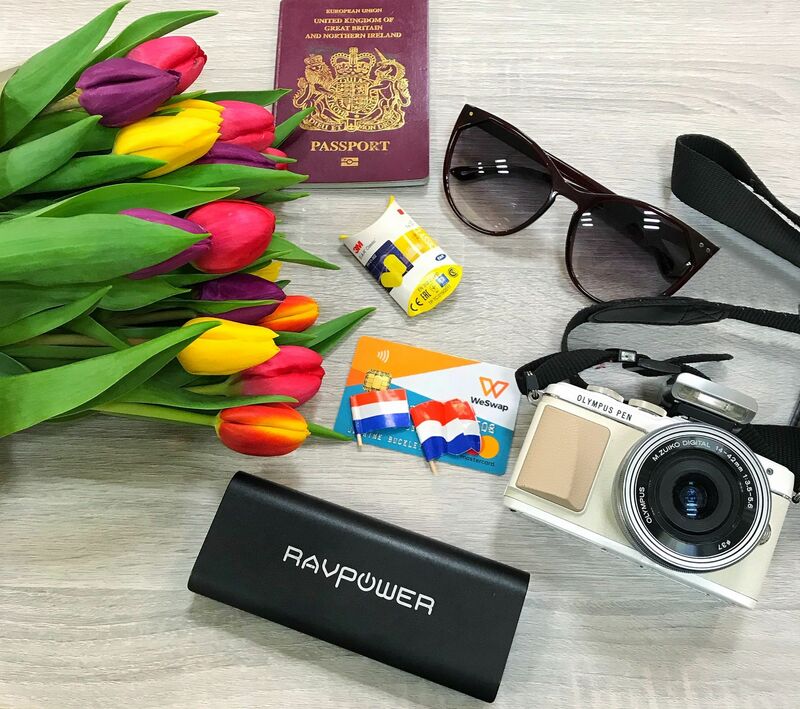 Of course, these are just my handbag travel essentials, if you want to know about my suitcase essentials including my trusty shower cap then let me know below! My next post will be all about my Spring break to the Keukenhof Tulip Gardens so stayed tuned! Omg honestly, why did I never think of getting ear defenders! I always get seated near crying babies on the plane. lol Thanks so much for the tips. I will definitely check out WeSwap. I love your camera dear. Such a cool piece. I’ve not heard of ear defenders before, I definitely need to get me some of those! I need to invest in another phone charger. Will definitely look up this brand. I’ve heard great things about Olympus cameras.